^ a b "Divisions - Sony Pictures". sonypictures.com. Retrieved June 7, 2015. ^ "Sony, Form 20-F, Filing Date Jun 28, 2011" (PDF). secdatabase.com. Retrieved March 27, 2013. ^ Cieply, Michael (January 21, 2015). "Alan J. Hirschfield, Who Led Film Studio Through Financial Scandal, Dies at 79". New York Times. Retrieved February 8, 2015. ^ "Remodeling at Screen Gems". Broadcasting: 39. May 6, 1974. 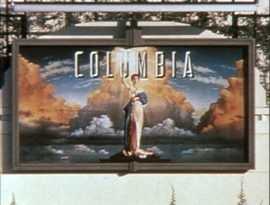 ^ "Arista Helps Columbia Pictures". Billboard. November 26, 1977. p. 8. ^ Stedman, Alex (January 16, 2015). "Alan Hirschfield, Former Columbia Chief Exec, Dies at 79". Variety. Retrieved February 8, 2015. ^ "Alan Hirschfield, Former Chief Exec of Columbia, Dies at 79". The Hollywood Reporter. January 18, 2015. Retrieved February 8, 2015. ^ "New TOY". Broadcasting: 39. February 19, 1979. ^ "Columbia buys Spelling-Goldberg". Broadcasting: 42. May 17, 1982. ^ "Structuring and restructuring". Broadcasting: 66. May 12, 1986. ^ Richter, Paul (September 27, 1989). "Sony to Buy Columbia, Says Americans Will Run Studio : 1st Sale of Film Maker to Japanese". latimes.com. Retrieved September 24, 2012. ^ Thompson, Anne (October 17, 2006). "Sony Pictures Classics at 15". The Hollywood Reporter. Archived from the original on March 4, 2010. Retrieved March 4, 2010. They stay behind the films and manage to find a significant core audience for a large number of them, with the occasional $130 million blowout like Crouching Tiger, Hidden Dragon," [former United Artists president Bingham] Ray says. "But they spend a fraction of what a major studio would spend to get the same number. Their philosophy is not to pile a lot of money on everything. They run a tight ship; they don't have an army of people working for them. They keep things simple. ^ "Feltheimer heads new Columbia TriStar TV". Broadcasting: 20. February 21, 1994. ^ Rainey, James (June 3, 2016). "Sony Names Sanford Panitch Columbia Pictures President". Variety. Retrieved June 23, 2017.